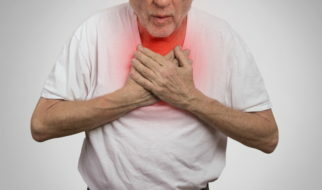 A Pulmonary Embolism is when an artery in your lung becomes blocked. A blockage is usually caused by a blood clot that has traveled from your leg or another part of your body. Blood clots are life threatening, but quick detection and treatment can reduce the risk of death. If you are experiencing any of these symptoms, contact your doctor immediately. When you see your doctor, he or she may order one or more of the following tests to see if you are suffering from a blood clot. There are several ways to treat a blood clot. You and your doctor can choose the option that works best for your situation. Blood Thinners: Blood-thinning medicine prevents new clots from forming. They can be given as a shot or a pill. Blood thinners act very quickly and the most common side effect is bleeding. Clot Removal: If you have a life-threatening blood clot, your doctor may ask the radiologist about placing a catheter through the vein in your groin, advancing the catheter to the blood clot and dissolving or sucking it out. Vein Filter: A vein filter can be used when you aren’t a good candidate for other treatment options, or if you had another treatment and it didn’t work. In this procedure, a catheter with a filter is inserted into the inferior vena cava (IVC) that leads from your legs to the right side of your heart. This filter will prevent any future clots from traveling to your lungs. In some instances, the filter can be removed when it is no longer needed.